Zoo says build bed and board for bees! 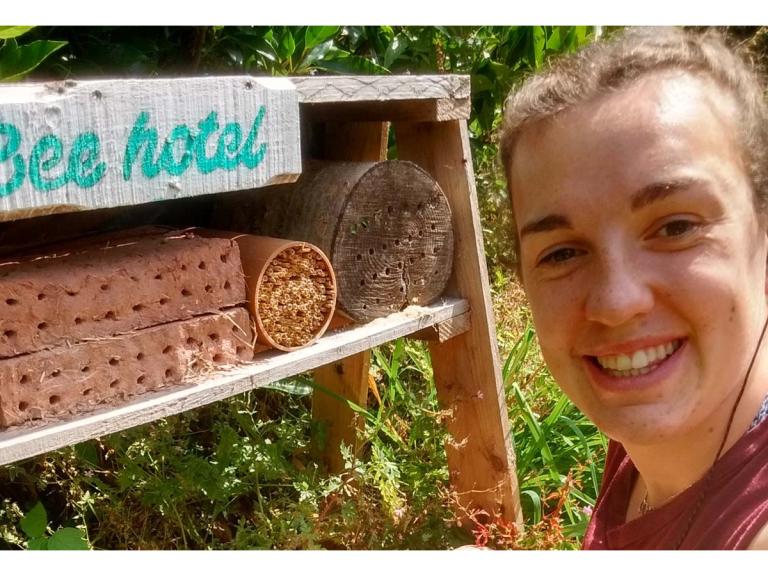 A research student based at Paignton Zoo has shown the benefits of building hotels for bees. Emily Tyack was studying solitary bees, which lay eggs in cavities. She provided “bee hotels”, each with a range of materials, then watched to see which bees would nest in which materials. There are 250 species of solitary bee, emerging and nesting at slightly different times and with slightly different nesting preferences. 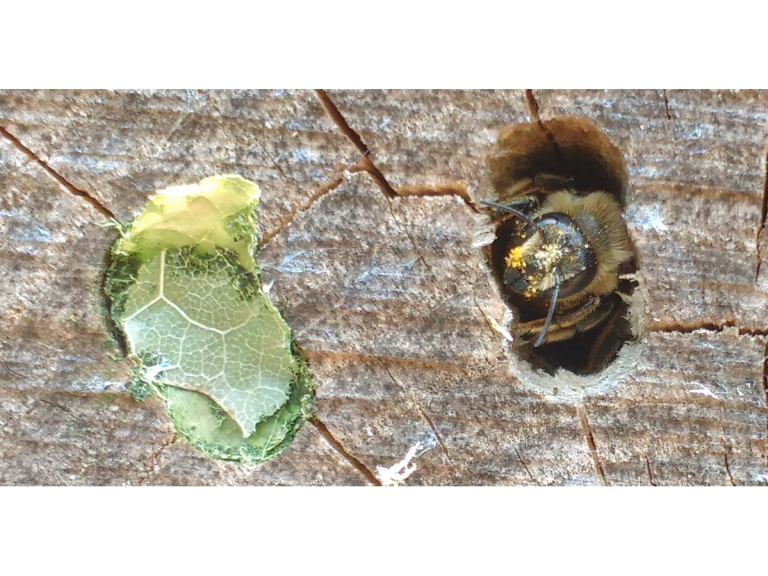 She noted holes blocked with mud (by mason bees) and carefully cut circles of leaf (by leafcutter bees). Emily, an Environmental Biology student at the University of Nottingham, was on a year-long placement with the Field Conservation & Research Department of the Whitley Wildlife Conservation Trust, the charity that runs Paignton Zoo, Living Coasts in Torquay and Newquay Zoo in Cornwall. Bees are threatened by habit loss and increased agricultural practices. By providing artificial nesting sites, we can create more viable areas in which British bee species can nest and survive. Paignton Zoo Environmental Park is a registered charity. For more information go to www.paigntonzoo.org.uk or ring 01803 697500.